New headstones. New bolts. No more moving markers. 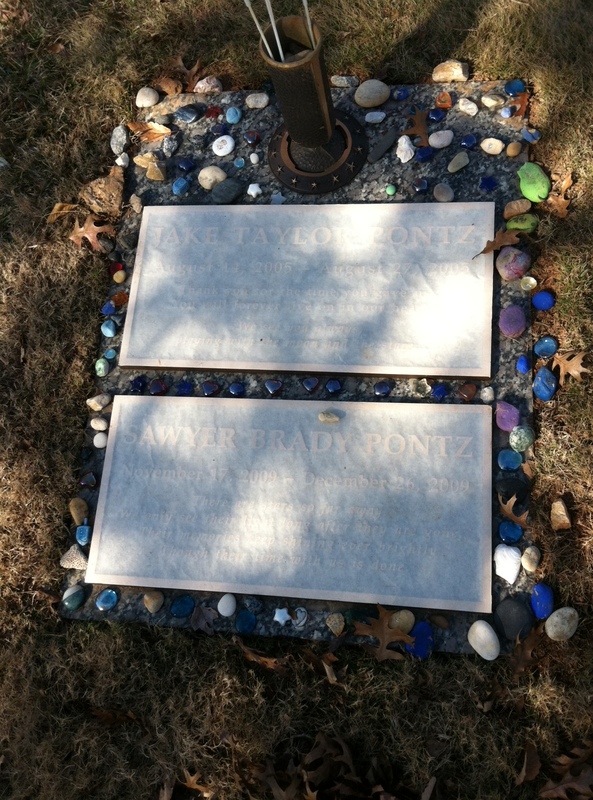 The stones are even placed exactly how their sister carefully arranged them on Sawyer’s last birthday. One less thing to worry about. Thank you. The new stones and bolts come at the right time for this Thanksgiving and, I hope, will be the beginning of many more things to be thankful for. Happy Hannukah to the four of you and a happy healthy New Year. So glad to see that they’ve done this. Happy holidays to you all! Oh good — nice to know someone is looking after them. I am so glad they are fixed.